1. Complete the High School Placement Test (HSPT) - Receipt of the completed SMCHS online application reserves the applicant’s seat for this exam. 2. Participate in an interview by a member of the Admissions Committee. Incomplete application folders cannot be evaluated. St. Monica Catholic High School, mindful of our mission to be a witness to the love of Christ for all, admits students regardless of race, color, disability, gender, or national/ethnic origin to all rights, privileges, programs, and activities generally accorded or made available to our students. While SMCHS does not discriminate against students with special needs, and makes minor adjustments to accommodate students with disabilities, a full range of services may not always be available to them. 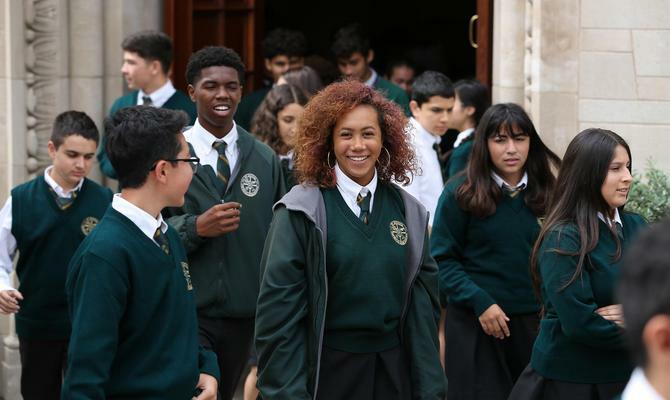 Decisions concerning the admission and continued enrollment of a student in the school are based upon the student’s emotional, academic, and physical abilities and the resources available to the school in meeting the student’s needs.